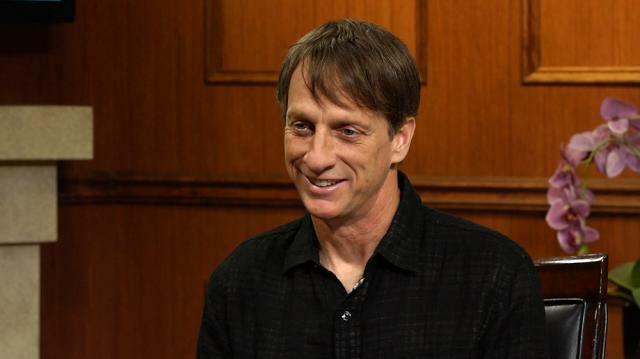 Skateboarding legend Tony Hawk shows his excitement for his sport's entry into the Tokyo Summer Olympic Games, and weighs in on the possibility of coaching the 2020 American team. Larry King: Alright, the 2020 Games are in Tokyo. Skateboarding is coming to the games. Did you have anything to do with that? Tony Hawk I don't know, I don't know. Not directly. I mean, I'm part of the group that's trying to usher it into the Games properly, to have the right sanctioning body to host it. But, you know, personally my view is it's about time. I feel that skateboarding has come of age. It is way more popular with youth than most Summer Olympic sports. And they need that, that young viewership in their Summer Games. The way that snowboarding brought that young viewership to their Winter Games. Larry King: The competition works how? Judging? Tony Hawk: I think the judging will be along the lines of competitions today. I mean, I don't think, they can't reinvent the wheel just for the Olympics. Larry King: So, there will be accredited judges? Do you know how many nations would participate? Tony Hawk: I don't know that as of yet. But honestly, that's the most exciting factor for me- that there will be teams from other nations representing skateboarding. I think there'll be, like there'll literally be an Ethiopian skate team or a Cambodian skate team. Like, that's amazing to me. Larry King: Are you going to coach? Tony Hawk: I don't know. Larry King: Why wouldn't you coach? Tony Hawk: Maybe. I don't, you know, I haven't really thought that far ahead. I'm just excited to, I'm excited to see how it resonates with the international audience.